Stick to a specific color scheme. While choosing a variety of different colors can make your home stand out, it could be for all of the wrong reasons. Take a trip around your neighborhood and make note of colors that catch your eye. Keep the rule of three in mind. Choose at least two colors for your home’s exterior if the siding is brick or stone, but if you have a combination of the two or want the siding to be painted as the main color, go with a total of three colors. Pick a complementary color for the trim and an accent color for the doors, shutters and decorative trim. Don’t neglect the roof. Choosing the right roof color is key. We recommend choosing a more neutral color so that you leave yourself open to more paint color options for the rest of your home’s exterior. 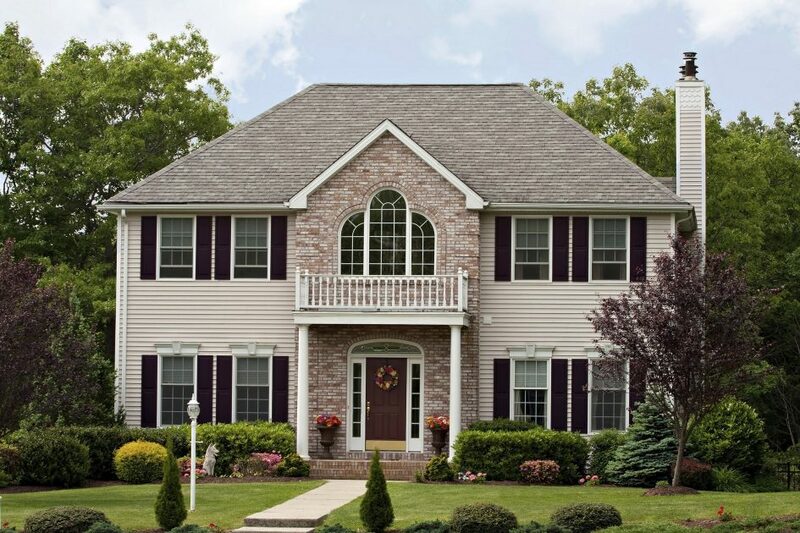 If your home has a combination of brick and vinyl siding, matching their colors can create a gorgeous curb appeal. Sticking to a matching theme when it comes to the brick and siding also allows for greater flexibility when it comes time to choose a trim color. Need help deciding on colors? That’s where we come in! Give the home improvement experts at North East Home Improvement a call today, we’re more than happy to help.